A handful of things have gained a lot of traction over the weekend that should probably be dealt with here instead of waiting until Wednesday. 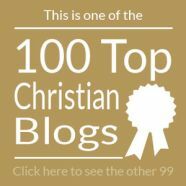 If you read other Christian blogs, none of this will be new, but I wanted my regular readers to be up to speed. The first is the death of Brennan Manning. He authored The Ragamuffin Gospel and Abba’s Child and at least 20 other books. Here’s a beautiful tribute from a blog which takes its name in part from Brennan’s inspiration. If you don’t know of him, here’s a set of quotations I compiled from his writing a little more than a year ago. We also learned this weekend of the earlier passing a week ago of another prolific author, Christian apologist and radio host Dave Hunt. He was the author of over 30 books. Unless this is the only Christian blog you read — for which we’re grateful, by the way — you can’t have missed hearing about a rap song video by Shai Linne in which he calls out the names of prominent televangelists he believes to be False Teacher$. Having said that, I can’t find a YouTube version of the song with stats commensurate to the articles about the song. Maybe televangelists are no longer all that interesting, but it took courage to name names. What is without a doubt truly viral is a letter “to the church” that appeared on the blog of a gay young person who “misses you.” Here’s a key line: ““When I was at church, they taught me something else: if you preach hate at the service, those words aren’t anointed. That holy water that you soak in has been poisoned.” By the time you read this it is closing in on 2,300 comments! Here’s the letter. And here’s a response from a Christian blogger. So many other links in the vault, but we’ll have to save some for Wednesday. You can also follow me on Twitter. Today’s lower graphic is a bit of a curiosity. It’s a warning to epileptics from the bottom of the page of a church bulletin from North Point Community Church (Andy Stanley) in Atlanta. I’m not sure if the warning about the church lighting system appears weekly or if this was a one-off situation. I’ve always thought the lighting at North Point resembles high school dances I attended, but they’re not the only church to do this type of thing. And what if someone misses the warning? Comments on this topic appreciated. Enjoy this week’s links; there’s ice cream at the end! You Give Me Your Shows and I’ll Give You Mine Department: Canada’s Christian television network, CTS has put together a reciprocal deal with Robert A. Schuller’s American Life Network to share programming and media platforms. Currently a limited list of CTS programs are available on the NRB Network. Read more at BDBO. Tattooed Pastor Department: Jay Bakker has a new book out, Fall to Grace (Faithwords) which Tony Jones reviews at Take and Read. Read This One For the Gipper Department: Here’s another book review, this one for The Faith of Ronald Reagan by Mary Beth Brown, reviewed by Darrell Dow. Biting The Hand That Feeds Them Department: The Feed-a-Friend program in downtown Houston, Texas is now being required to purchase a $17/day permit from the city to carry out its mission of feeding the homeless. The group is trying to avoid an us-versus-them mentality. Killing Me Softly Department: Dee at Wartburg Watch takes a trip down memory lane profiling a not-yet-published book by Irishman Charlie Boyd, and reminds us of The Jesus Movement, Arthur Blessitt, Larry Norman, The Late Great Planet Earth, the Shepherding Movement, Calvary Chapel, and so many other times and places worth remembering. 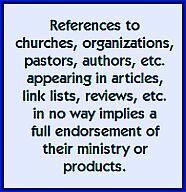 Ministry Copycat Department: We all know of churches which offer conferences and seminars for pastors to learn how the big guys do it. The seminars aren’t free; the churches are basically selling their expertise. Now comes word that one megachurch actually charges a fee just to see the wording of their staff job descriptions. Yikes! Dialing for Doctrine Department: At The Arminian Blog (caption line: Theology in the Dutch Reformed Tradition of Jacob Arminius) comes this article about inconsistencies among Southern Baptist Calvinists when it comes to missions. Glass Houses Department: We all have a public persona and a private persona, but what really goes on behind the closed door of our houses when it’s just us and the fam? It’s a question worth considering in the light of this homespun article by Trey Morgan listing ten things you’d notice if you were a guest. Not sure why I’m attracted to this article, but after reading it, I feel I’ve already spent time with Lea, Trey and the boys. Church Plant Withers Department: This is a link to Jamie Arpin-Ricci’s blog, selected because it takes you to all four parts of Jason Coker’s blog where he describes the final days of the Ikon church plant in San Diego. Or you can also get there from David Fitch’s blog along with much additional analysis. The similarities between Jason’s experience in southern California and my own experience with Transformation Church an hour east of Toronto are rather striking. Authors of Confusion Department: Keith Brenton lists some indicators of bad theology in a December piece I missed earlier, How To Spot False Teaching. Higher Education Department: At my own alma mater, The University of Toronto, a couple of local churches and ministry organizations are lending support to a Jesus Awareness Week. Oh, to be a student again, and be part of the events. Interfaith Dialog Department: Mark Galli at Christianity Today suggests that step one in starting the conversation with people of other faiths actually lies in evangelizing ourselves. 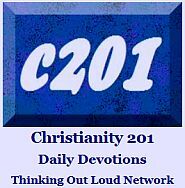 Truth is Stranger Than Cartoons Department: We leave this week with two, count ’em two links to the blog American Jesus. The first is a 40-second mystery video about church pageantry and formality gone wrong. The second link gets you an explanation for the picture which appears below. See ya in seven days with more links.